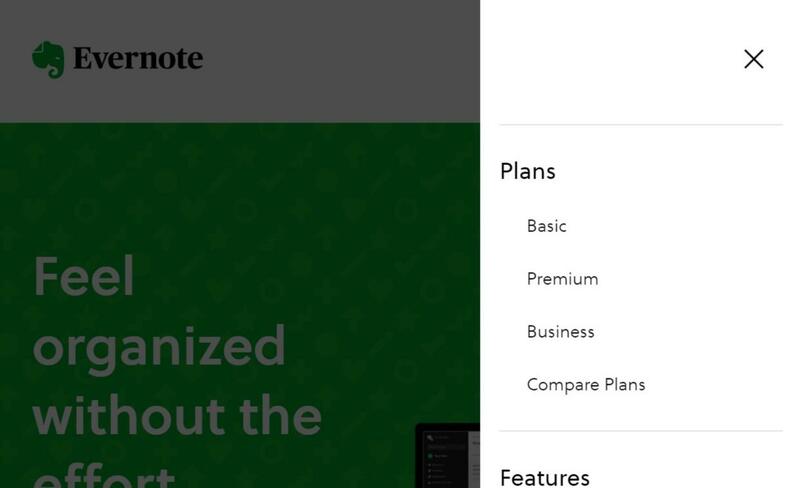 I've been an Evernote Premium user for several years, but feel *neglected*. Why? Because the sign in link is at the very bottom of Evernote's front page. I have to scroll down through all kinds of "Sign Up for Free" promotional messaging before I get to the very small box on the right hand side. I mean, really? What's up with that? You'd think that paying customers who stuck with Evernote would be treated with greater respect. Please put sign in at the TOP, so I don't have to waste my time. Also, it's almost impossible to find any feedback link. It's not in "Contact Us", which is the intuitive place to look. I did some digging before I discovered the "Forum". Might not a simple addition of "Feedback" be another way of acknowledging those of us who already are on board with Evernote? B﻿ecause﻿ th﻿e ﻿sign in link i﻿﻿s﻿ at the very bottom of Evernote's front page﻿. But I don't see a log-in on the top right corner, and have (I think) Windows open as wide as can be — in Chrome. As a writer, I'm conducting research all the time, but have started to use Drive more. I use Chrome on Windows 7 and also see the log in in the upper right. Maybe if you show us what you are seeing we can help further. Great idea. Here're two screen shots, as right as it can go. Below that, the hamburger icon is open. I don't see log in anywhere. Scroll bar on the bottom? Ctrl+- to shrink screen? 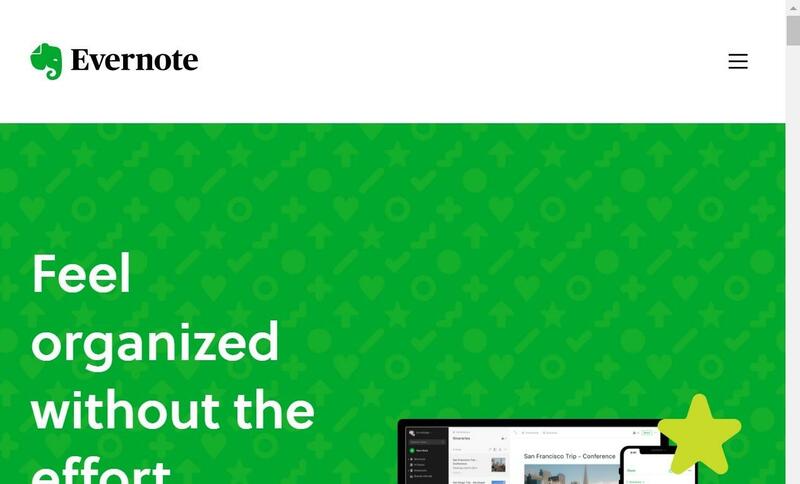 Make a bookmark with URL https://www.evernote.com/Login.action. Save it somewhere convenient in your browser. p.s. Are your screenshots from a mobile device? Wow, Jeff / jefito and DTLow — You're both tied for first place on the help-a-neighbor front! Jeff, I did what you said, and bookmarked that link, which takes me directly into my account. DTLow — I shrank the screen to 75 percent, and got this, below. But that means I've got to expand screen size again to view my files. How curious that the "normal" size provides a different image, without Log In. Thanks very much to you both. You've vastly improved my Evernote experience, and I'm grateful. Also, Jeff / jefito: I use a laptop, with a Windows interface, although save a lot of stuff to Evernote when I'm doing environmental scanning with my tablet. Below that, the hamburger icon is open. I don't see log in anywhere.